QUEENS — A South Korean coffeehouse chain, known for its multigrain drink "misugaru," is planning to open a new location in Kew Gardens, the company said. Caffebene, which has about 1,600 locations worldwide, including 11 in New York City, is slated to open at 120-20 Queens Blvd., replacing NU-Place Realty, a real estate office that moved to Forest Hills in January. The outpost in Kew Gardens, expected to open in May or June, will be located at the busy intersection of Queens Boulevard and Union Turnpike, across the street from Queens Borough Hall and near the Kew Gardens-Union Turnpike station on the E and F subway lines, the company said. There is also a Starbucks store at that intersection. In addition to a variety of coffee drinks, from vanilla latte to macchiato, the chain will be serving its signature beverages — misugaru lattes and frappes. “It is like a drinkable cereal, packed with proteins and other nutrients,” according to Amy Park, a spokeswoman for Caffebene said of the drink, made from black sesame, barley, black rice, brown rice, and black beans. 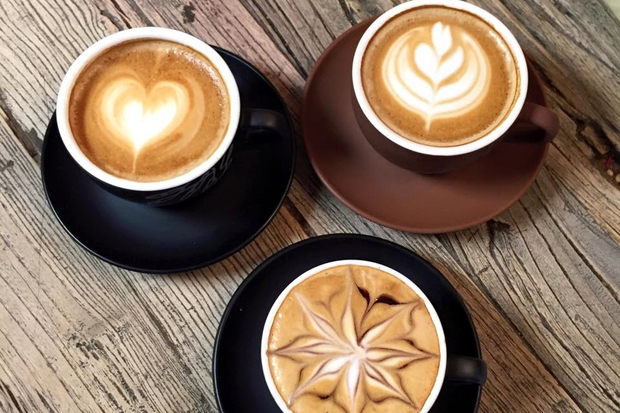 The latte can be served both hot and iced or with a shot of espresso, and comes in several flavors, including cranberry-almond and caramel-cinnamon, Park said. The shop will also offer smoothies and snacks, mainly sandwiches, including Asian shrimp and teriyaki chicken. On the dessert menu, patrons will find about half-a-dozen different Belgian-style waffles as well as honey bread and bingsu, a popular Korean dessert, which consists of ice shavings topped with fruits and syrups. The space will be able to serve 34 customers indoors. In the summer, the terrace in front of the store will accommodate 12 people, the company said.